D. Ragone (1997). 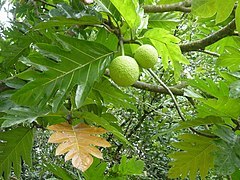 Breadfruit. Artocarpus altilis (Parkinson) Fosberg.. Institute of Plant Genetics and Crop Plant Research, Gatersleben/International Plant Genetic Resources Institute, Rome, Italy.